Doing household maintenance and fixes by yourself is commendable, but it can also lead to disaster. Overconfidence (either in ourselves or in the instructions we find online) can result in making a problem worse, not to mention an unfortunate trip to the hospital. Even the most experienced do-it-yourselfers succumb to the temptation of doing projects they have no knowledge about and skill in, so don’t feel guilty. What you can is to be aware of your limitations and learn when to call for expert help. Attempting certain home repairs can be downright dangerous for your home and hazardous to your health, so here are some guidelines to help you determine when it’s better to call in the pros. 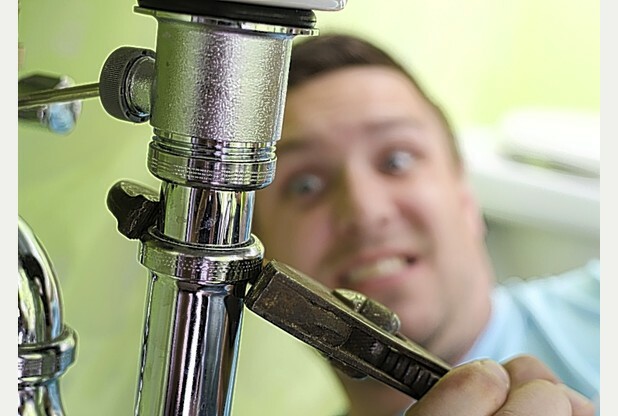 Minor repairs such as replacing a faucet, unclogging a drain, or changing a shower head can be done by yourself, but modifying the plumbing system on your own is not recommended. Call in the pros if you have to do some modifications on the plumbing system, such as re-routing the sewer pipes or extending hot water lines. These tasks usually require the use of a blowtorch, and unless you’re skilled in welding, you’d better call the plumber. When doing electric work, remember to turn off the house’s power before starting. It’s easy enough to replace outlet covers, install a new ceiling fan, and change light switch, but if the electric work is major, such as replacing circuits, it’s better to call a professional electrician. Fiddling with the house’s electrical system requires extreme care, as one wrong move can result to your house burning down and cause you injury—even death. In some instances, you may also need to obtain a permit. Asbestos is toxic, so it is not recommended to attempt to remove it yourself. There are professional asbestos removal teams who are not only skilled but also know the rules and codes to follow in the process. Removing asbestos on your own can pose a danger not only to you and your family, but your neighbors as well. Not being afraid of heights isn’t a good enough reason to undertake roofing repairs yourself. It’s easy to fall off a sloping roof or a rickety ladder. One wrong step or badly-placed tool can set you sliding off. Minor fixes such as a simple shingle repair or gutter work can be done on your own, but these still pose a risk, even if you have a spotter nearby. It’s also easy to botch up roofing fixes if you’re taking the DIY path. Painting your walls is something you can do on your own, but if water or structural damage necessitates extensive wall repairs such as demolishing an existing wall or replacing the framing, you’ll be better off calling the professionals. Installing systems for heating, ventilation, and air conditioning in Gilbert AZ involves knowledge and skills in electrics, plumbing, and gas lines. It also requires special tools that you may not have. To make sure your HVAC systems are properly installed, call in the pros. Doing home improvement projects by yourself is a great way to save money; however, you should first think about what needs to be done before you do it yourself. See if you have the training, time, and the tools to do the project properly. If not, call the professionals—it’s for your own good.